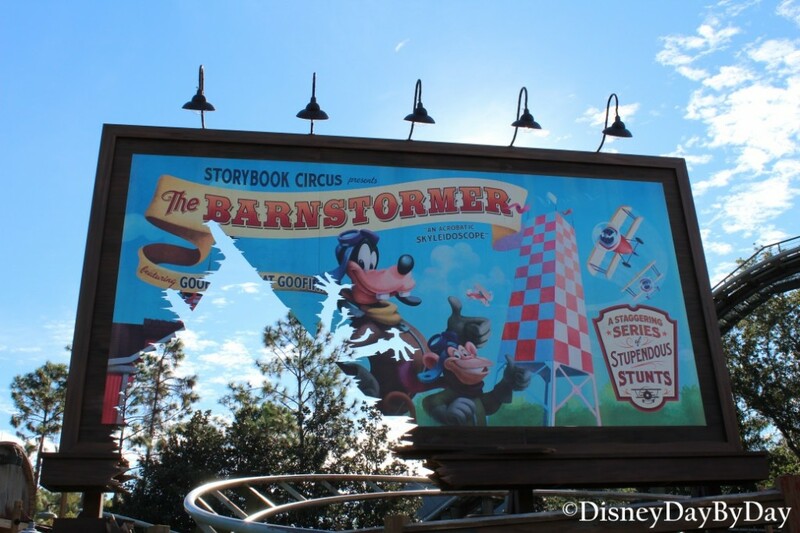 Our Hidden Mickey this week comes from the Storybook Circus area of New Fantasyland at the Magic Kingdom. 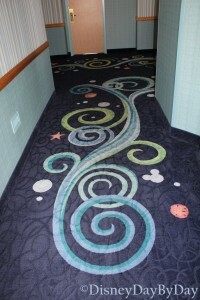 If you ride the train to Fantasyland or if you head to the back of Storybook Circus to visit the restrooms, look down. 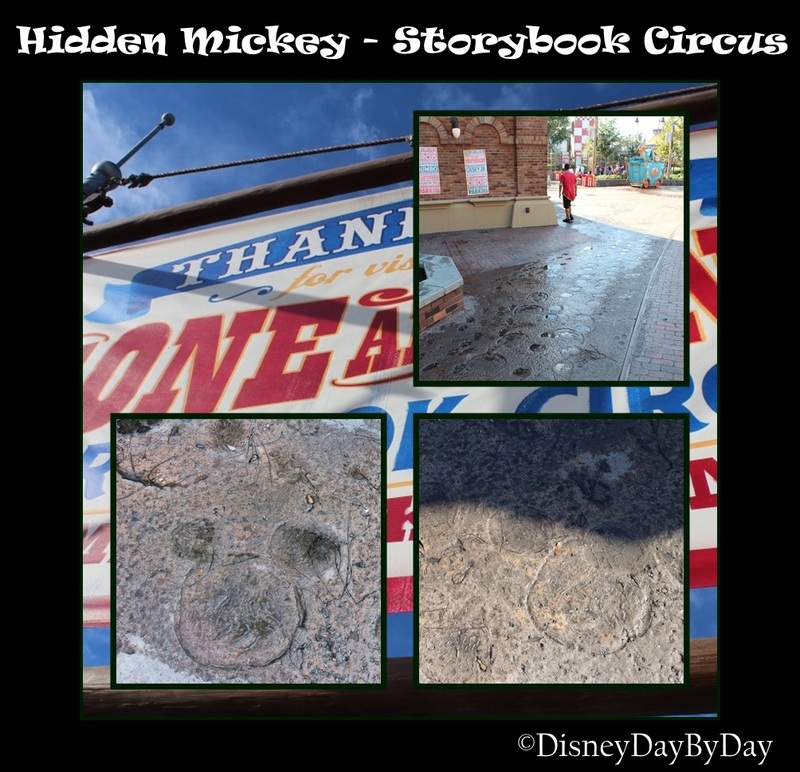 Many different animals have come and go at the circus and if you look real close many of the foot prints left behind form perfect Hidden Mickey’s! See if you can spot some in our shots below. These are just a couple of the Mickey’s you can find on the ground here. Where else do you spot him? 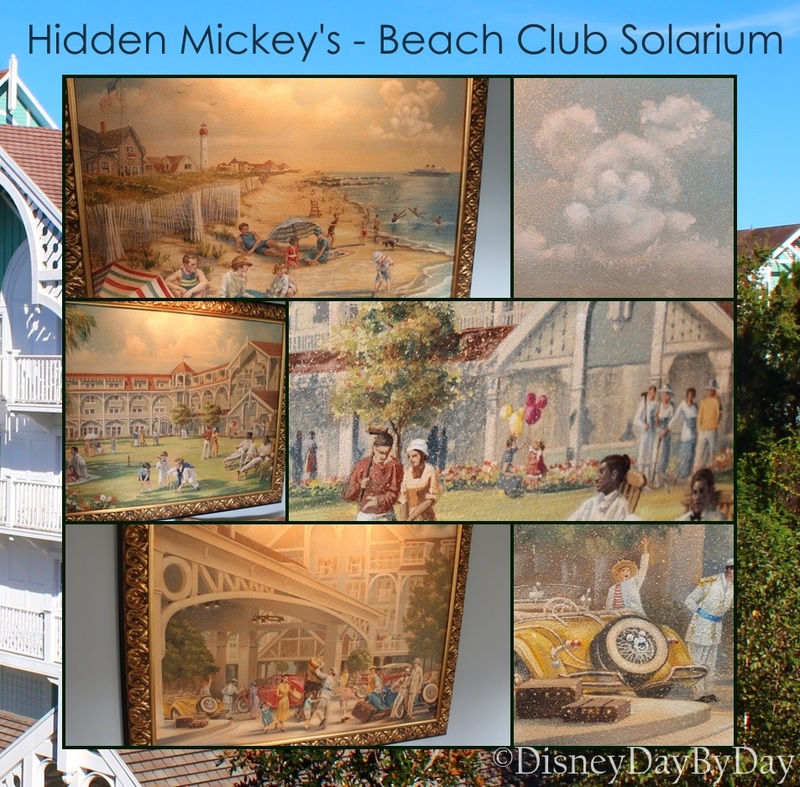 Our Hidden Mickey this week comes from the Beach Club Resort at Walt Disney World. Just outside the Beach Club Marketplace is an amazing spot to rest and relax called the Solarium. Here you will find many different seating areas with large windows to enjoy both the indoors and outdoors. As you sit enjoying the atmosphere and your cup of coffee or tea, be sure to pay close attention to the pictures on the walls. Yes our pal Mickey is hiding in each and everyone of them. Can you spot him? Here are some hints for your next trip. These are just a few of the Mickey’s that you can find in these pictures. Where else do you spot him? Take a close look at those planes. Did you spot him? This is a tough one but our final picture will make it clear. 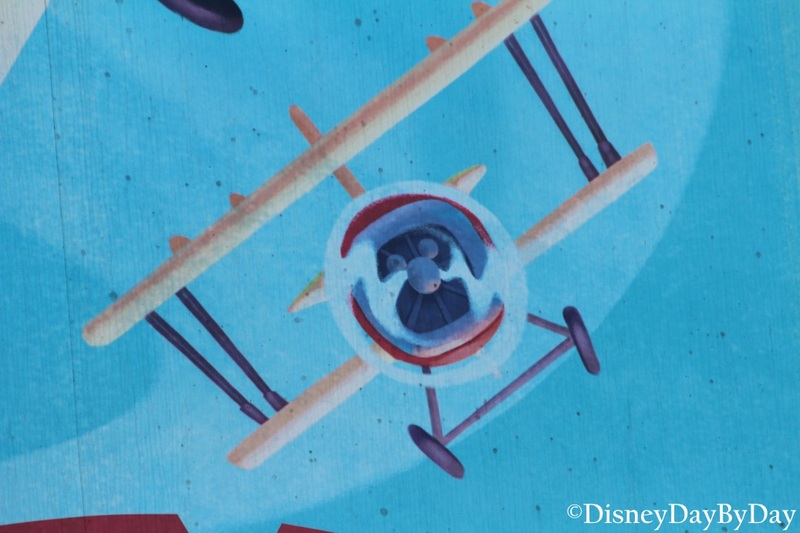 Take a look at the planes propeller. Hi Mickey! We love Hidden Mickey‘s. 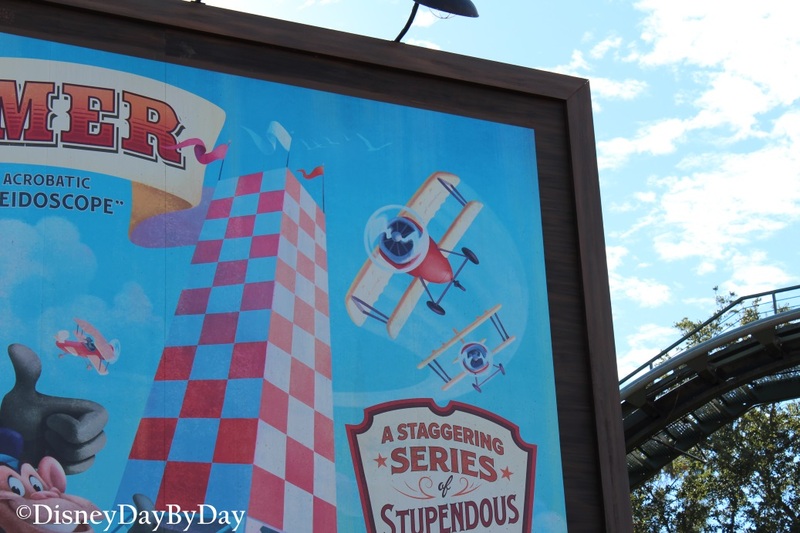 Where have you spotted him at the Magic Kingdom? Our Hidden Mickey this week comes from Living with the Land attraction at Epcot. As you step into the boat there is a mural on your left hand side, be sure to take a close look at you just might spot our pal. Look beyond the boats to spot the mural. Now let’s take a close look at this mural. Sorry it’s blurry, was trying to capture the shot as the boat started moving. Can you spot him? 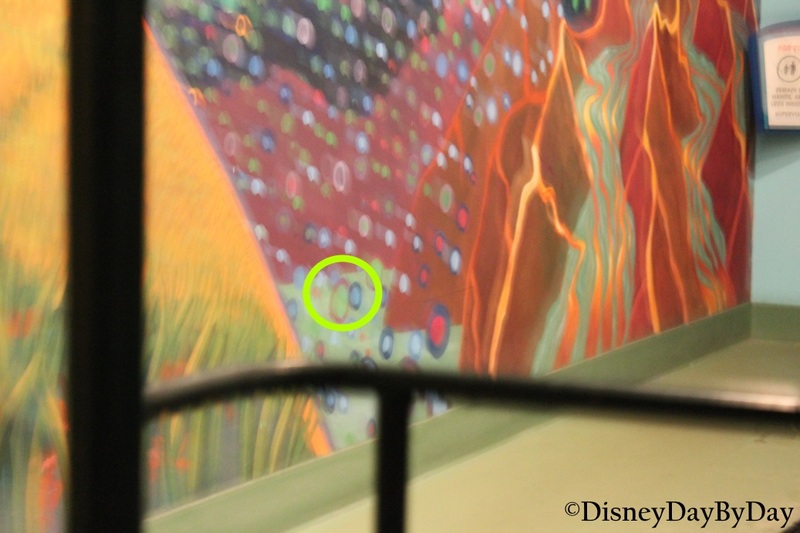 Here is one final look with Mickey circled. We love Hidden Mickey‘s. Where have you spotted him at Epcot? Our Hidden Mickey this week comes from the Paradise Pier Hotel at Disneyland. 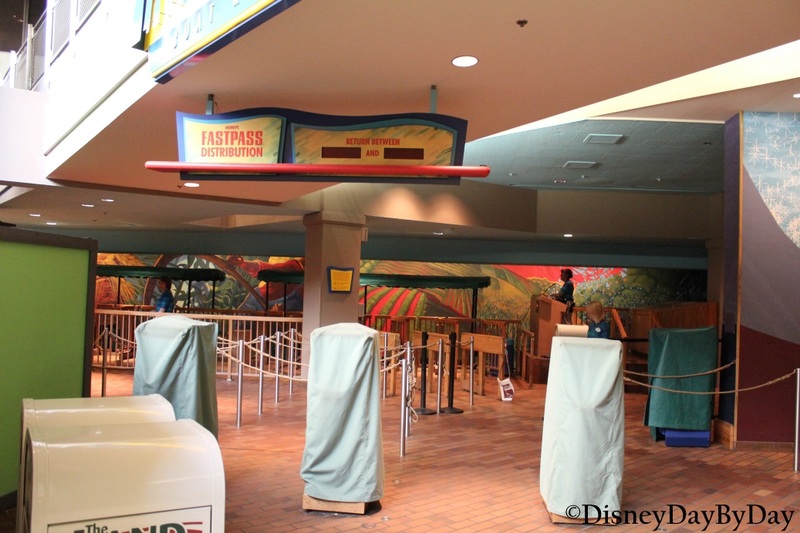 As with many other resorts, the carpets are many times a great place for Mickey to hide. Here you can spot him in the Paradise Pier hotel hallway carpeting. There is a classic Hidden Mickey on the right and the design also reveals a couple others. We love Hidden Mickey‘s. Where have you spotted him at you favorite resort? Our Hidden Mickey this week comes from the Dinosaur ride at Disney’s Animal Kingdom. Do you ride Dinosaur? It’s one attraction we love to take our first time visitors on just so we can get the picture at the end :). 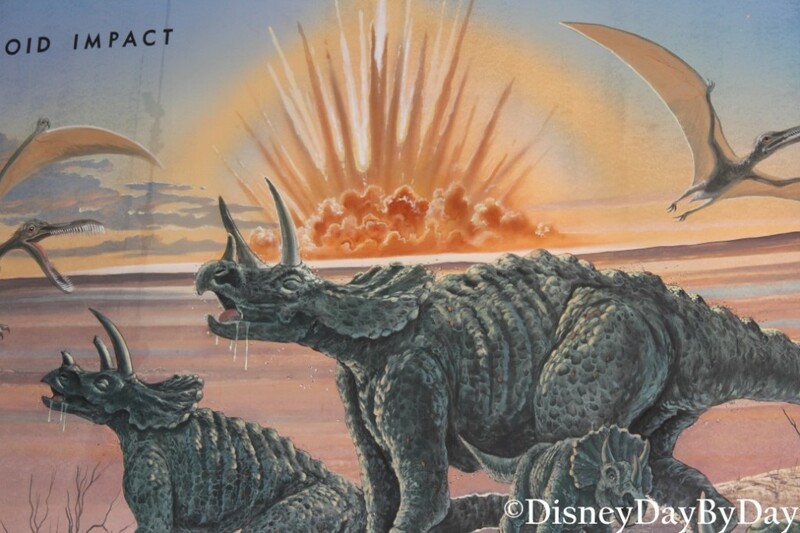 In the line as you enter the main building you will see a mural on the wall of dinosaurs with an asteroid impact behind them. Take a close look at the clouds around the impact. Did you find him in the explosion? Here is a highlight of the area so you can go back and look. Hi Mickey! We love Hidden Mickey‘s. Where is your favorite one?